The spectacular season of League of Legends we’ve just witnessed come to an impressive close, for most of the eSports scene, anyway. The spectacular season of League of Legends we’ve just witnessed come to an impressive close, for most of the eSports scene, anyway. The World Championships marked an unparalleled level of skill and showmanship on Riot’s behalf, and respectively, from the teams attending. 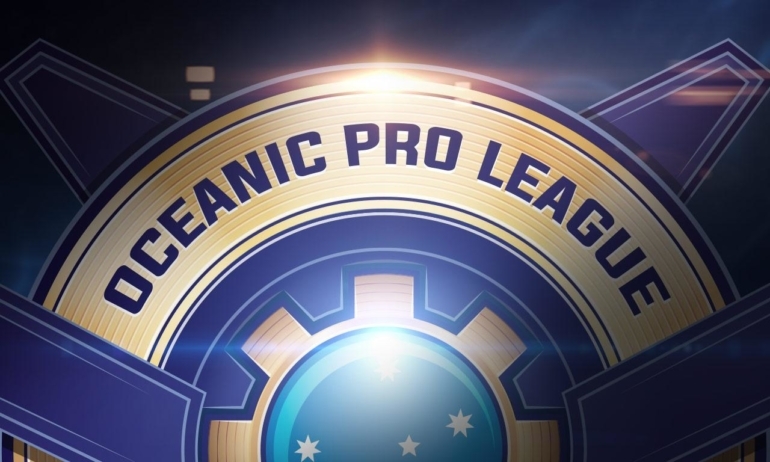 However, tucked away in a dark, unperturbed corner is the Oceanic region, a few eSports viewers were lucky to witness another event, where PAX Australia was host to the Oceanic Regional Finals. Teams were hoping to perform better than the region has ever witnessed, as the finals stage drew dauntingly nearer. But you, the common, eSports viewer, had no idea, right? Whilst there was a second in the spotlight when Legacy eSports, our Wildcard representatives, fought valiantly against Dark Passage, hoping to secure a position in the 2014 World Championship, very little exposure is ever shone on the scene. This article looks to explore the under-appreciated region of Oceania, its inherent flaws and its hopeful growth. It will also look at the self-deprecating nature of its fans and how we’re involved in a self-fulfilling, negative prophecy. Firstly, it’s important to understand that of course, like any developing region, there should no expectations to be on par with the likes of North America, Europe, China or Korea. However, within the current predicament, it feels extremely volatile and there would appear to be maybe a limited opportunity in which things can take off. Stuck between the proverbial rock and a hard place, Oceanic “professional” players should more uniquely be coined “semi-pro”. Without proper incentive to compete full time, players and support staff are primarily engaged in their education (be it school or university) or in the workplace, as their is no feasible way to operate full-time with the current level of money circulating in the scene. Sadly, this isn’t understood or appreciated by the viewer base who watch the teams. Plaguing social media, stream chats and in-game chat rooms are comments degrading the integrity of the players and their ability to perform. “OCE Challenger = Korea Bronze” is my particular favourite. Not only has our region proven their merit on the world stage (think Immunity-now-Chiefs vs. CJ Blaze at WCG 2014), but the comparison is completely unfair. A refutation by analogy would be to say the best children’s league basketball team doesn’t stack up to a bottom three NBA team. Well, obviously. The comparison of an established, dominant region to a newer developing isn’t a fair test. Simply put, the expectations of players in developing regions is paralleled with that of an established region. It’s essentially unrealistic to hold them to similar standards and to ostracise them for meeting your expectations. However, it would be more acceptable if it were only a section of viewers who held that belief. On top that lies the self-inhibiting attitude of many players who draw things down to the Oceanic region’s fault. Attacking fellow players and depreciation of skill and ability cannot in any way promote growth. There’s a massive difference between promoting and encouraging improvement, possibly through constructive criticism, to outright dismissal of player’s ability and downplaying their potential. There’s almost a school-yard stigma of player’s thinking it’s “cool” or “funny” in denouncing their own region and scene. If we’re not here to back it up, who will be? Outside of the harmful opinions and expressions, developing regions battle a plethora of other issues. Stemming from the grassroots level infrastructure, it’s hard to really cement a position within these scenes. Sponsors are wary of investing due to how volatile the teams and rosters are whilst players are not incentivised to really stick to a team because there are no regular, systematic events or sponsors to back them. It’s a vicious cycle that sees teams disband and rosters shuffle because realistically, if you’re sitting outside of the highest echelon of the competitive team base, you’re not going to achieve anything. The developing scenes are historically dominated by a select few teams, which because they’re winning, are the only teams which maintain a healthy roster without change, which continues to boost their success. When people aren’t making it, with a specific group of players, why stay? They’re not endorsed by big label brands, they don’t have a guaranteed salary from Riot or their organisations or even a position of permanency in the scene. If you’re not qualifying for events, you’re left with nothing, which begs the question, “Would I do better on another team?” It’s hard to blame the players for leaving and moving, despite there being evidence of the success of teams who stay together excelling. Which draws back to the first issue, with teams and rosters disbanding at a moment’s notice, it is extremely hard to first, keep up with the scene and the players, and to secondly find a team to support. The team’s that have any respectable social media numbers are, again, these few dominant squads who’ve stuck together and actively worked to improve, regardless of going without reward instantly. But it isn’t without hope. The Oceanic Regional Finals showcased some of the strongest League of Legends the region has witnessed, and had some impressive viewership numbers to couple with that. It was even lucky enough to host a few of the bigger names from North America, such as Phreak and Travis, which helped boost popularity and show some legitimacy of the event. In terms of development, the Oceanic region and similar growing scenes, are progressing. The availability of competition is rising, with rumours of more rigorous tournament structures and increased funding and prize pools. Similarly, exposure on other regions inherently helps growth, too. Studying from other regions and adopting the approaches working internationally has shown merit. On top of this, we’ve recently seen an announcement concerning the state of OCE and its future, with a tiered tournament format introduction for the 2015 Season. There is still a long distance to travel before Oceania, or any of its counterparts, will match the established regions, but there needs to be an acceptance of that. Players, teams, fans and the wider community need to appreciate the nature of growth and do their bit to help cultivate the scene they represent.